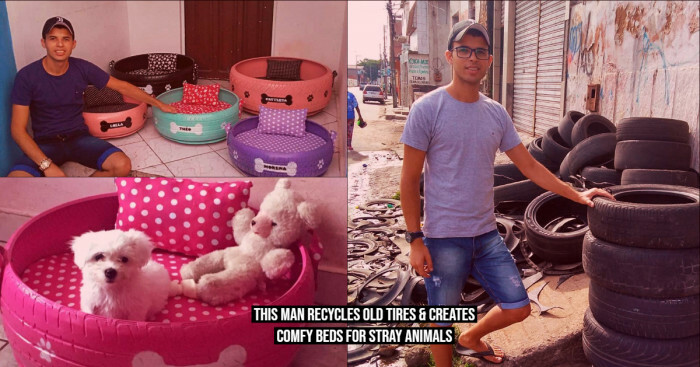 One or the other time, we have wondered for what shall be done with the old bicycle that is lying unused or what shall be done with the old factory furniture has struck our mind atleast once. 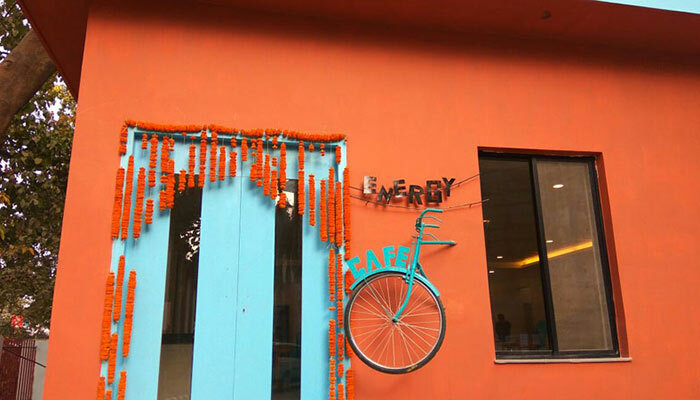 A café called “Energy Cafe” in Bihar, India has collected all the scrap from its dumping yard and turned them into awesome interior. 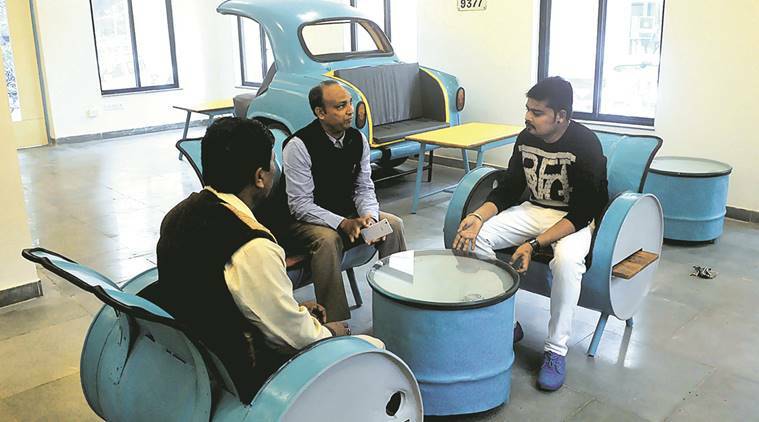 The “Energy Cafe” at Vidyut Bhavan has its interiors modeled from scrap collected from state energy department’s dumping yard. 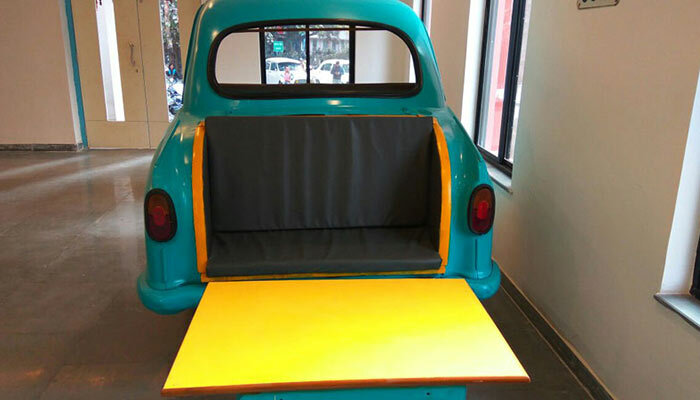 Old oil drums are used as chairs, a portion of Ambassador car is used as sofa, control panel of a sub-station as table with seats of transformer insulators. An old bicycle that was earlier used by the electricity department employees has been reused for the signboard. This old Ambassador car (BRIM 9377) which was used by the secretary of Bihar State Electricity Board till 2001, is remodeled into an elevated sofa now. 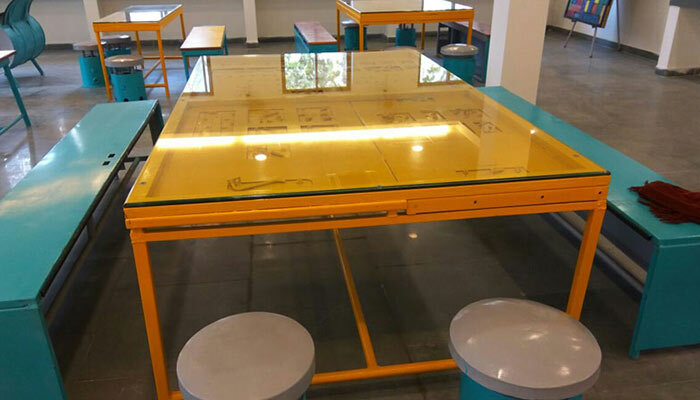 This table was actually the control panel of a power sub-station. It has its nuts and bolts intact but has been given a glass top. 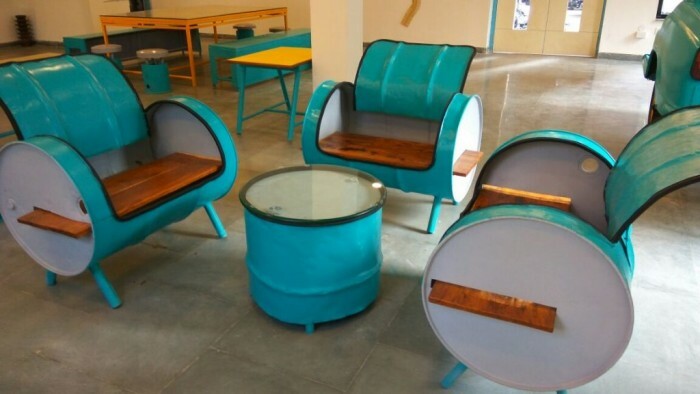 Old transformer oil drums have been redesigned as aqua green chairs and tables. Benches of the café are made from wood or metal scrap. Insulators have been cushioned with comfort for seating space. Energy café is made on a space of 1,800 square feet. It is inaugurated a few days ago. The department does not wish to keep this as a place for show. 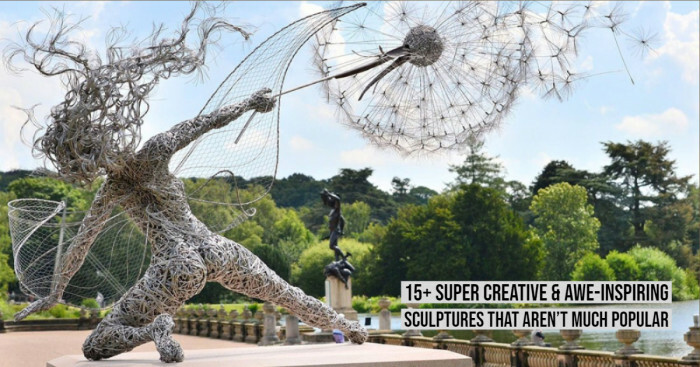 They are planning to make this as a profitable venture, may be lease it to a private party. 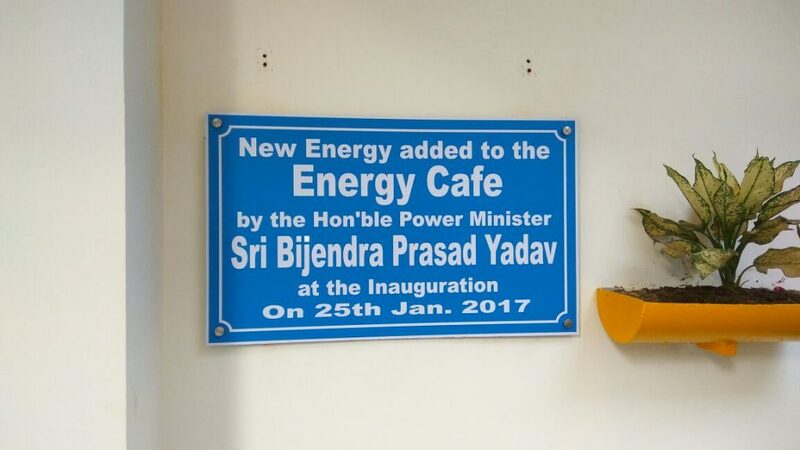 Since the theme of the café is “energy”, department has decided to offer four varieties of tea including Bihar’s masala tea. They wish that the name of the place also justifies its purpose. People shall actually be able to increase their energy level at energy café. The menu board has also been designed from wood obtained from cable rolls. Dustbins have also been made from scrap and wall clock is remodeled from a discarded wooden piece. Amidst of the Singing! Crowd Goes Insane When He Turned His Painting Upside Down!